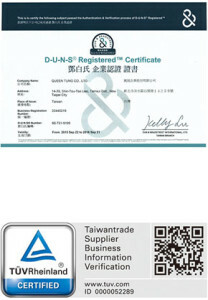 1973 Tang-Fu Enterprise Co., Ltd. was established and specialized in processing of metal parts. We kept growth steadily. 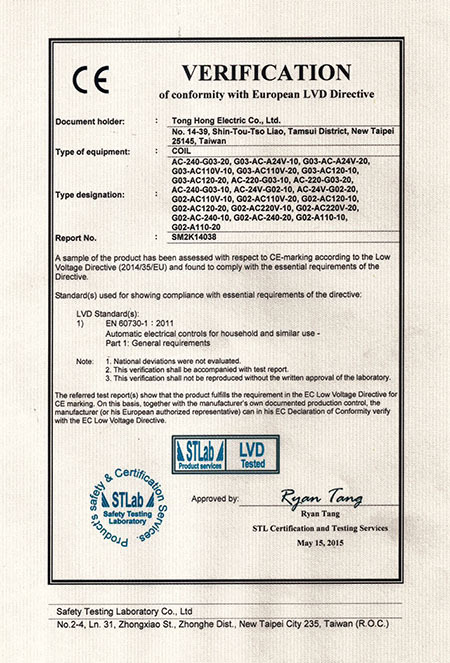 1987 In 1987, renamed us as Queen Tong Co., Ltd who purchased advanced automation manufacturing machines and testing machines. 2000 We acquired Taiwan TAKISAWA EX-308 C-axis turning center. 2001 In order to upgrade the accuracy of precision parts, we bought TAKAMASU XY-12 Picary CNC precision Lathe, SHIGIYA GPS30 CNC Cylindrical grinder. 2004 We designed and developed the magnetic coils which were produced in December, 2004. 2005 In March, 2005, a new magnetic coil plant was built under the name of Tong Hong Electric Co., Ltd. 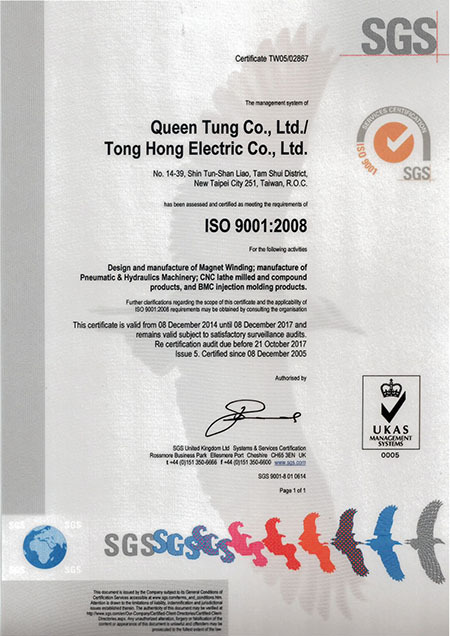 In October, 2005, we achieved ISO9001-2000 certification by implementing comprehensively the quality policy “Enhancing Efficiency, Pursuing Quality”. 2006 We brought in SV-210 and MIYANO BNJ-42SY2-spindle 2-turrect compact turning center with Y-axis. 2007 In order to measure the dimensions and accuracy of precision parts, we procured Micro-Hite 3D. 2008 We got hold of 2 sets of MIYANO BNJ-42SY 2-spindle 2-turrect compact turning center with Y-axis 2 and 1 set of TAKAMASU X-100 CNC Precision Lathe. 2009 We obtained 2-spindle Honing machine and 1-spindle Honing machine. 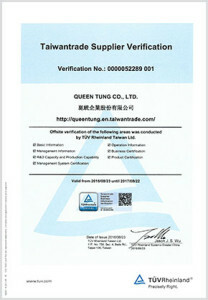 In December, 2009, we achieved the approval of ISO9001-2008 new version. 2010 We purchased 1 set 4-spindle Honing machine and 1 set SHIGIYA GPS-30 CNC cylindrical grinder from Japan to stabilize the high accuracy of precision parts. 2016 We are proud of getting certified in TUV and DUNS.